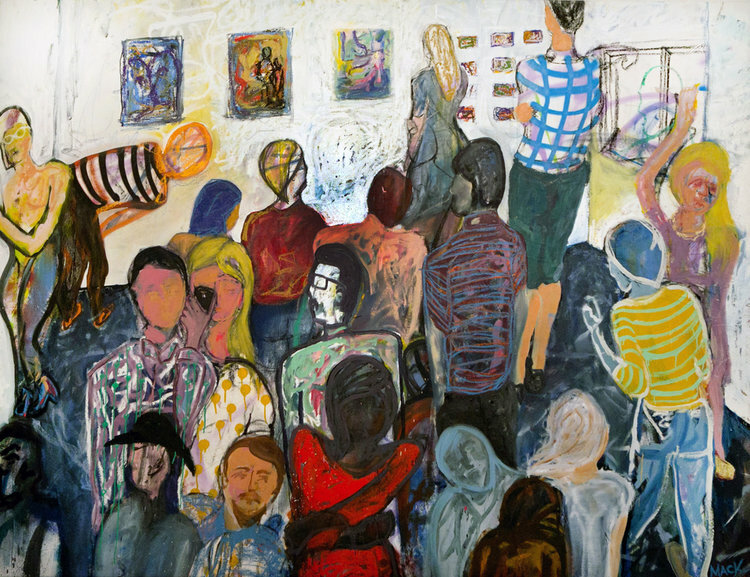 Portland artist Mack Legg works in the figurative expressionist style, using vivid colors and patterns to generate movement within her paintings. Inspired by crowds, Legg paints social scenes, often commenting on the evolving dynamic between physical and digital interactions in today's society. Best known for her colorful and vibrant landscape paintings, artist Lindsey Saunders' uses both realistic and surrealistic qualities to produce dreamlike paintings, influenced by the shifting natural surroundings throughout her life. Fine artist Jen Smith spent much of her upbringing in the great outdoors, observing and documenting elements in nature that intrigued her. Taking inspiration from life, Smith's artwork reflects her passion for the natural world.